There are fault lines and common ground in Malaysia's ethnic relations and policies. As Malaysia's election coalitions and platforms shape up, the ruling Barisan Nasional (BN) coalition's ethnic politics and longstanding ethnic policies have entered the spotlight. Widespread reports of household economic hardships, in contrast to Malaysia's sprightly macroeconomic statistics, mirror a populace discontented with the ruling regime. There is much talk these days about the Malay community being discontented with the Malay-based Umno party that is BN's major partner. Questions are being raised on whether Malaysians, especially the Malays, are turning away from the BN. 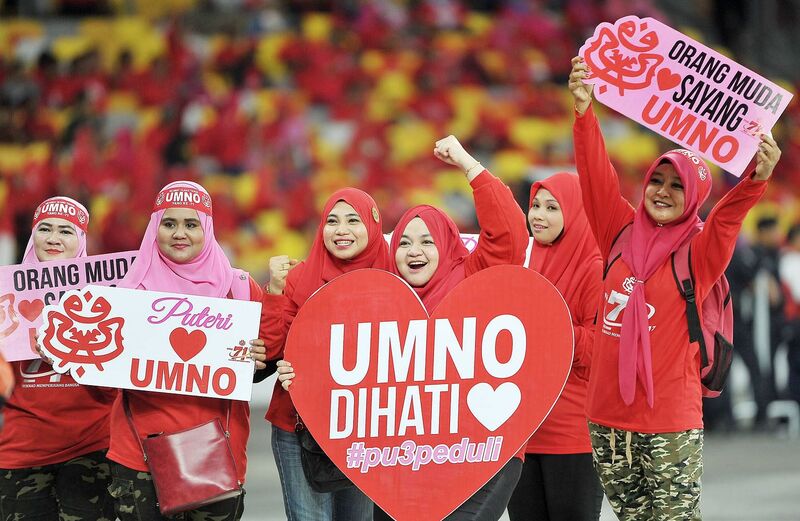 The criticism is that Umno continues to manipulate ethnic and religious sentiments, but has moved away from protecting Malay interests to safeguard the interests of Umno-connected elites and corrupt chieftains, at the cost of ordinary (especially Malay) citizens. Many commentators tend to view Umno's ethnic politics as desperate attempts to whip up emotions to sustain outdated ethnic policies. This is typically accompanied by an assertion that bumiputera policies, which purportedly benefit a minority at the expense of the majority, are immovable because they are defended by Malay elites who have too much to lose. Anecdotal observations and personal biases create such impressions. But the best available empirical evidence - representing the views of Malaysian people - paint a different picture. Recent opinion polls and academic surveys portray Malaysian society, particularly the Malay community, as not neatly aligned in rejecting both ethnic politics and ethnic policies, as often presumed. The reality is messy and complicated. In a nutshell, most Malaysians are comfortable dispensing with ethnic parties, but a pivotal Malay majority approve of ethnically exclusive bumiputera policies. Scholars at the University of Oxford's Blavatnik School of Government, commissioned by the CIMB Foundation, recently disseminated a report based on a Peninsular Malaysia survey conducted from September to October last year. Responses to the statement, "all political parties should be racially mixed", are instructive: 62 per cent of Malays agreed, along with 80 per cent of Chinese and 83 per cent of Indians. Ethnicity is entrenched in Malaysian politics, especially on the peninsula, where the major BN coalition partners are ethnically exclusive parties, ostensibly representing Malay, Chinese and Indian interests. Umno has always dominated the alliance, but since the 2008 general elections, it has ruled with ever greater hegemony. Other BN partners today are the Malaysian Indian Congress and the Malaysian Chinese Association. Unsurprisingly, overwhelming majorities of Chinese and Indians favour multi-ethnic parties. The sizeable majority of Malays sharing that view mirrors a broadening ambivalence, perhaps disillusionment, towards the BN's ethnic party model. These public dispositions signal openness to a more culturally integrated, less ethnically politicised nation. But does this mean that Malaysians repudiate ethnic policies - specifically, the bumiputera preferential treatment enmeshed with the ruling regime? It is not so clear cut. For example, the Blavatnik survey also enquired into the level of comfort with Malays receiving special privileges. On a scale of 1 ("not at all comfortable") to 5 ("very much comfortable"), Malay respondents averaged almost 4 out of 5, while Chinese were slightly below 2 and Indians slightly above 2. On the statement that "fair competition for everyone so that no one group gets special privileges", less than half of Malay respondents (47 per cent), but exceedingly more Chinese (85 per cent) and Indians (88 per cent), said they agreed with it. In 2010, the Malaysian Political Values Survey by the distinguished Merdeka Center for Opinion Research, found robust support among Malays and other bumiputera communities for preferential assistance. Over seven in 10, or 73 per cent, agreed that "Malays/ bumiputeras need all the help they can get to move ahead so programmes like the NEP should be welcome". NEP stands for New Economic Policy, a socio-economic affirmative action plan rolled out in 1971. Only 21 per cent agreed "the NEP doesn't help Malays/bumiputeras in the long run as it makes them dependent". Why would people want to reject ethnic politics but retain ethnic policies? There's actually no contradiction. Ethnic concerns remain imperative, even if Malaysians warm up to the possibility of multi-ethnic parties as political vehicles to safeguard those concerns. Merdeka Center's 2015 National Unity Survey found almost equal numbers believing in the ability of the ethnic party-dominated BN government and the Pakatan opposition coalition to represent ethnic communities. Even if parties are not based on ethnicity, they are expected to champion each ethnic group's interests, which includes bumiputera preferential policies, and Chinese and Tamil vernacular schools, and to strive for amenable compromises. Emphatically, pro-bumiputera policies stretch deep and wide, delivering assistance and welfare benefits. The stance that the policies should be scrapped - espoused by some Malays as well - invariably fixates on wealth accumulation, corruption and abuse by the already rich. These are undeniable problems, but we must not ignore the vast network of secondary schooling, technical programmes, university admissions, microfinance and business support under the bumiputera agenda that benefit millions of households. For sure, many of these programmes are underperforming. However, the road to reform begins by acknowledging their extensive outreach and rational, popular support, as well as the difficulties in rolling back assistance. It's more productive to put in the effort to make the interventions more effective and empowering for the vast majority, than to recite the stale narrative that the agenda only benefits a powerful self-interested minority. Such comments then fuel misguided expectations that ousting Umno-linked elites will displace bumiputera policies. Will Malaysia usher out ethnic politics? The people will tell through their votes. Can Malaysia phase out ethnic policies? Regardless of election outcomes, this remains a long, arduous quest. Lee Hwok-Aun is a senior fellow at ISEAS - Yusof Ishak Institute. A longer version of this article was published in ISEAS Perspective 2017/63.